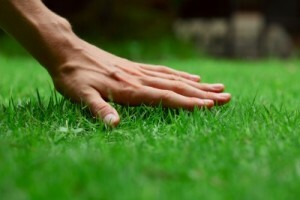 At Ryno Lawn Care, LLC, We cater our services to the unique needs of your lawn in Valley Ranch, TX. Our lawn care crews are able to handle yards of all shapes and sizes. We also provide lawn fertilization and trim the trees and bushes around your yard. Costs vary from one setting to another and depending upon the services you want. That’s why we provide a free estimate. We will completely and professionally assess your needs and provide you with a reasonable and competitive price. You’ll get a free consultation to explain to us the problems you are having with your lawn so our lawn service in Valley Ranch, TX can work to remedy them for you. Ryno Lawn Care in Valley Ranch, TX Offers Weekly Lawn Care To Keep Your Lawn In Top Condition! Weekly lawn service keeps your yard looking beautiful and allows you to enjoy your yard without backbreaking labor. Give us a call for a free estimate and let us know if you need Valley Ranch Sod Installation or Valley Ranch Landscaping.